I’ve got a countdown timer on my phone and for once it’s not counting down to a race, an event or something energetic. In fact it’s completely the opposite, I’m counting down the time until I have a cocktail in each hand, a floppy hat on my head and a bikini becomes my daywear of choice. Instead of a white GPS watch mark where the sun can’t reach my skin, I’m planning a white cocktail mark on the palm of each hand. And possibly a cocktail umbrella shadow on my wrist. However I’m not entirely planning on becoming a puddle of flesh on a sunbed. Not ALL day anyway. I’ll have to become a morning runner for a couple of weeks as it will be too hot and humid for midday or early evening runs. I’ve already checked out the local bike hire available and will be getting a few miles in and packing my bike kit. And I will of course be in the sea and pool floating on lilos and drinking cocktails. No no. I mean practising swimming and sighting. And lilos. However, I find it really hard to keep motivation when I’m away, especially when I’m off-plan and don’t know my local bike or run routes. But there is a way I can inspire myself while I’ve actually got the time ... A holiday is one of the few times a year, I get the time to work my way through several books in a couple of weeks and what better time to catch up with some of my heroes? Think of all the petrol you’re saving on your daily commute while you’re lying around on a sunbed. Why not use that petrol and coffee money on something you’ll remember like an entry to an AWESOME race? '50 Races To Run Before You Die' has some great suggestions for races and it’s also quite good for ‘Smug Points’ – when you see how many you’ve already ticked off. With suggested races ranging from parkrun to Marathon des Sables I have several to add to my To Do and I’m slightly ashamed to admit I’ve only ticked off 6 of the races in this book. These lists are of course very personal - everyone has their own reasons for choosing a race, but this book pulls together a collection great races at least several of which should appeal to any runner. It also adds in some interesting facts such as the finishing time of the author, the finishing rate and gives an overview of the author's personal experience. This is a great coffee-table book and a good gift for any runner! Make sure you’ve packed your trainers and kit if you take this book with you as you’ll be leaping up from the sunbed and looking for mountains. What an inspiring read – the book takes you along with Lizzy Hawker as she goes on her adventures and you’ll feel as though you’ll running the Ultra Trail Du Mont Blanc with her. 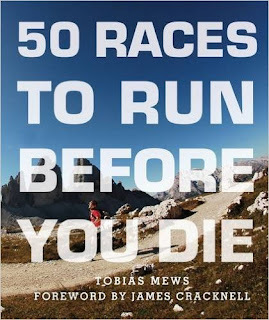 Be warned though, if this race isn’t already on your bucket list, it will be after reading this book. Inspiring and a compelling read, this book is a memoir that takes you on an amazing journey. Everything from nutrition plans, to interesting little facts and tidbits to marathon training plans. This book really does appear to have it all. Great whether you’re beginning to run or a seasoned club runner, there really does appear to be something for everyone in this book. Most importantly it’s written in an interesting and compelling way. Whether you want to use it as a textbook or a ‘read’, it works for both. A great handbook for any runner from ultra marathoners to parkrunners. What gives up first? Your head or your legs? A compelling book from Matt Fitzgerald which describes a new psychological model of endurance connecting the mind, body and brain. This book uses some inspiring examples from sports showing us examples of when endurance athletes shouldn't have been able to produce the amazing results they did on race day. 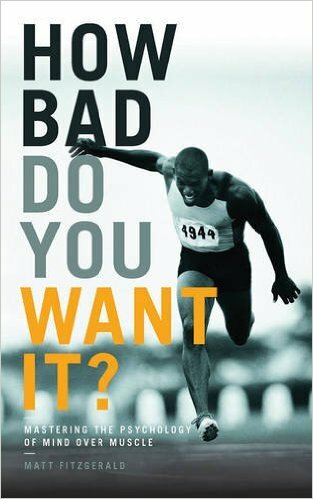 Not only an interesting and readable book, How Bad Do You Want It provides tactics and habits we can use to build our own mental strength. An enthralling book, especially if you're interested in mind-training or have a race or rival you REALLY want to beat! 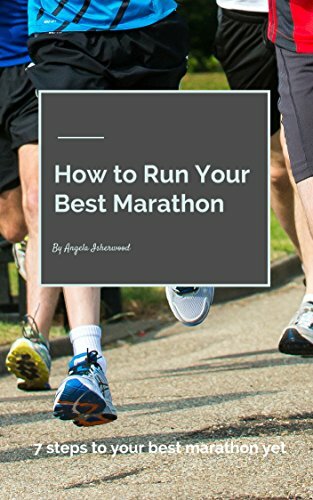 This e-book breaks down running a marathon into 7 easy steps and teaches the reader how to break down each step into manageable chunks. It's aimed at any marathoner from a first timer to a multiple marathoner aiming for a PB and gives tips from nutrition to failing at races to ensuring you're doing the proper training. The good thing about this book is the simplicity. It's easy to follow and gives clear simple guidelines - great if you're training for an Autumn marathon. What a lovely comment - you've made my day! Thank you!! 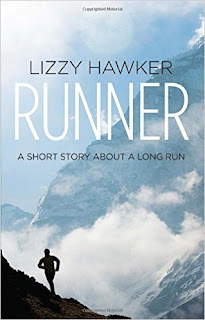 :) Hope you enjoy Lizzy Hawker's book - but keep your trainers to hand! The UTMB has always been on The List but now I REALLY want to do it! !